More and more cases of "convenience euthanasia" are being brought to veterinarians across the country. These animals are fit, and in no danger, but their families are asking for them to be put down. The reasons people ask for convenience euthanasia range from "he got too big," to "she sheds too much," or even, "we just dont enjoy them as much as we used to." People also cite the high cost of veterinary care as a reason to put an animal down, or the difficulty of finding it a new home. What is most shocking is that there is no law or regulation that prevents vets from euthanizing a healthy pet simply at the owner's request. Some vets refuse to perform convenience euthanasia, but many are willing to euthanize by request, and that is something that can be stopped. Like all medical doctors, veterinarians are required to obtain certification from their state to practice. By encouraging states to refuse licenses to vets that willingly euthanize healthy animals, we can save countless lives! 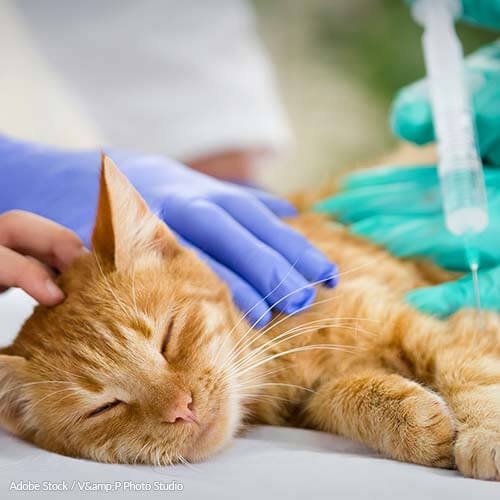 Let's make convenience euthanasia a thing of the past by asking the American Association of Veterinary State Boards to help change state policies for licensing veterinarians. Sign below to help make sure pets are protected! More and more people are visiting their veterinarian to have their healthy animal put down for no other reason than their own convenience. The reasons range from complaints about the costs of having a pet, the pet shedding more than they like, or even the difficulties that arise when moving with a pet. The practice of "convenience euthanasia" is not only abhorrent, but it goes against every value that the AAVSB stands for. A pet is not a piece of furniture, or a conversation piece - something to be discarded when they no longer fill a void. Allowing families to bring in a healthy pet to be put down simply because they are tired of it, or dont want to take care of it anymore is horrifying, and any veterinarian dedicated to helping animals should be equally appalled at the idea. Yet, because there's nothing saying that a veterinarian cannot, or should not, perform convenience euthanasia, pets continue to be treated as such. The AAVSB is in a unique position to help shape how states view veterinary medicine, and what criteria they use to certify their vets. As the primary source for the veterinary regulatory community, your voice resonates into every veterinary office. By joining in the fight against this barbaric and unnecessary procedure, thousands of animals can be saved. By standing up and decrying this practice, and encouraging veterinary boards around the country to raise their standards, you will make a difference to all of us, animals and humans alike. That's 32,402 signatures! Let's keep the ball rolling.